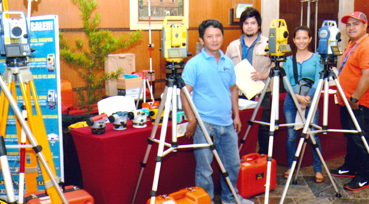 The 31st South Luzon Area Area Assembly held on November 7-8, 2014 at Summit Ridge Hotel Tagaytay City. As a regular offer for such events, a three (3) day super sale has been successful. We then offered 10 % to 30 % discounts on all items. To add more excitement, we further offered additional accessories for any purchase such as extra total station battery, extra prism and pole, extra mini prism and others.